Designing as an art is all about breaking the conventions and thinking out of the box. If you are blessed with this talent you can apply it anywhere; even your resume. After all, your resume is the ultimate tool that speaks for you and your qualification. We are going to be listing some creative graphic designers and their brilliantly designed resumes. Of course, it is the content of the resume that matters but in order to make your resume stand out from the lot, you have to put in an effort to make it look distinct and catchy. Take inspiration from these resumes, even if you are not a graphic designer you can take ideas to help your resume look unique. Paula Del Mas, a graphic designer from Italy took the art of resume writing and resume designing to a whole new level. She created something she calls a resume book! The resume book itself is the evident of her skills as a designer. The artist has paid attention to the every design detail. 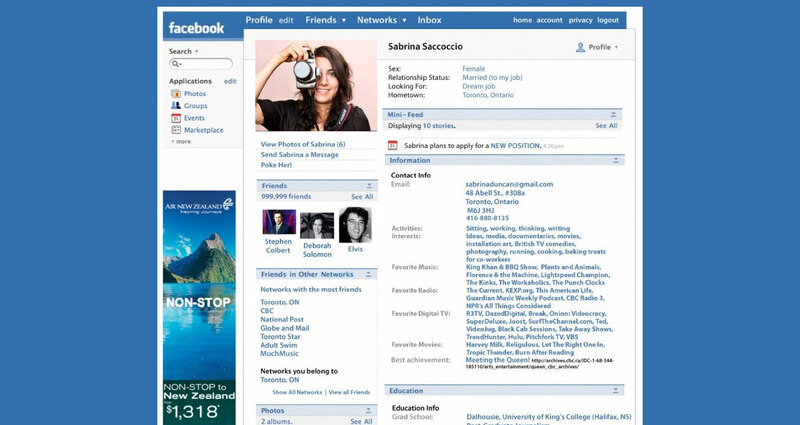 Sabrina Saccoccio had a clever and creative idea of creating a resume that looks like a Facebook feed and the execution is absolutely brilliant. The details have been mentioned clearly. Here is a resume that shows potential and creativity. There is no chance of rejection if your resume looks like this. As a designer it is important to know and execute minimalism since the minimalistic trend seems to be taking on these days. 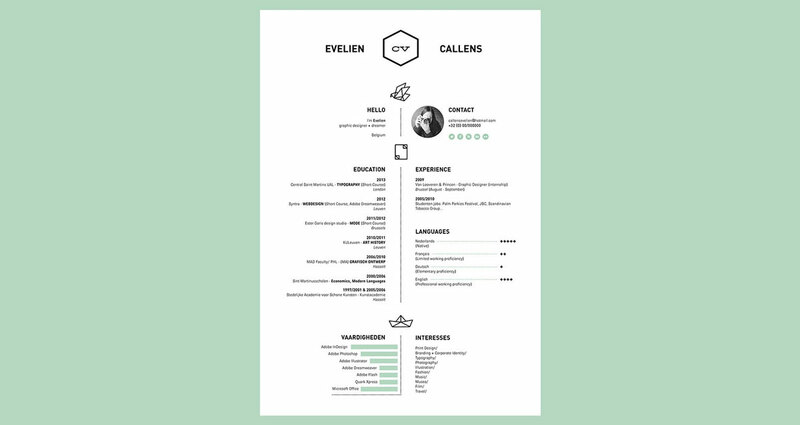 And nothing could be better than showcasing your art with a minimalistic resume design like done by Evelien Callens. The designer managed to keep the resume short, simple, clean and yet something that will grab the recruiter’s attention immediately. Vintage style poster had a certain charm and today they carry a nostalgia with in them. 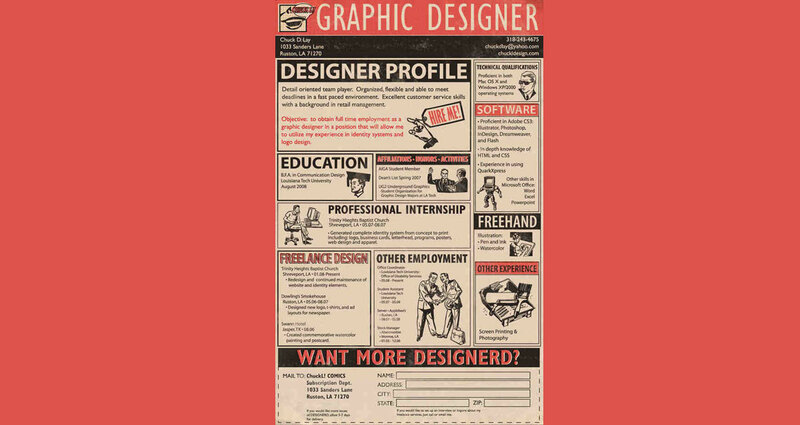 Designer Chuck Lay, of the Designerd fame, took inspiration from old magazines and comic books and came up with this resume. If you could create such resume, trust us, the recruiters won’t be able to say no! Everyone wants to reach to a level where they can be googled by various people. Here is a Googled inspired resume by Eric Gandhi, who interestingly managed to get the job at Google through this resume. The execution is simple but the idea is highly innovative and brilliant. Samuel Profeta created this resume as a part of the final project during his Graduate Diploma in Design Management. The goal of the project was to come up with an unconventional and innovative resume design. Samuel stands as a clear winner to us. This is what happens when simplicity and brilliance come together. Melissa is passionate about sewing and wanted her resume to display her passion not just by the content but also by looks. She first printed her resume on an iron-on paper which was then transferred to a fabric. She herself sewed the fabric with various patterns, coming up with this excellent resume. 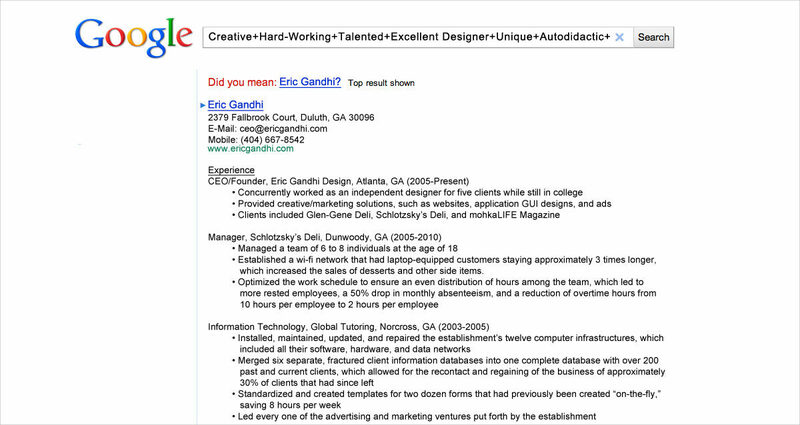 Matt Stucky gave his resume a 3rd dimension. Since the potential recruiters want to see you skills and qualifications on your resume, you have to make sure they’re eye catching. This is what Matt Stucky did with his resume, quite literally! Flowchart is not something new for a designer. It makes things easy to understand and sometimes can also complicate simple things. 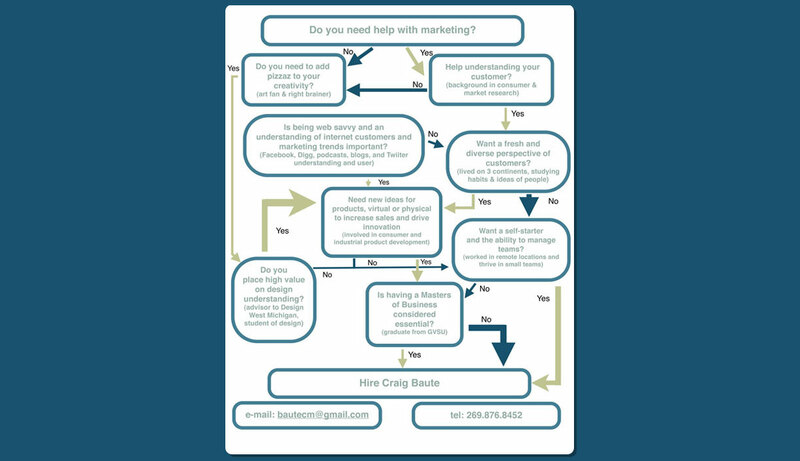 Craig Baute let his flowchart resume help the recruiters figure out if they want to hire him or not. Clever! Isn’t it?